Apple approved Google’s Hangouts, Facebook Messenger, the indie WhatsApp, and a plethora of other instant messaging clients, so there shouldn’t be a problem with the core concept. If BlackBerry is trying anything fancy, like screen sharing, that could complicate review. So could any issues related to this being their first iOS app, unlike other major competitors who’ve gotten past their first, painful app launches and settled into the App Store groove. Either way, we should be getting it soon. 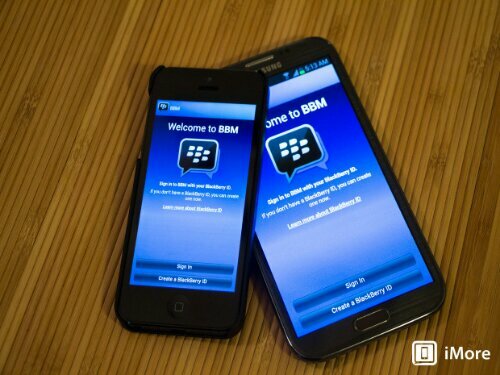 Anyone itching to start BBM’ing from their iPhone?